India captain Mithali Raj scripted history on 12th July 2017 as she became the all-time leading run-getter in women's one-day internationals. 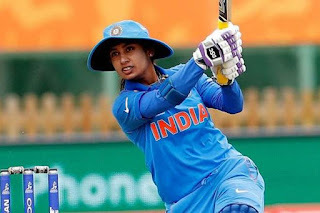 Mithali, who is leading India at the ICC Women's World Cup in England, overtook Charlotte Edwards (5992) after scoring her 34th run against Australia in Bristol. The 34-year-old reached the landmark in her 183rd ODI, taking 164 innings - 16 less than Charlotte. Coincidentally, the top run scorers in one-day internationals in both men’s and women’s cricket happen to be Indians. Sachin Tendulkar tops the list with 18,426 runs.